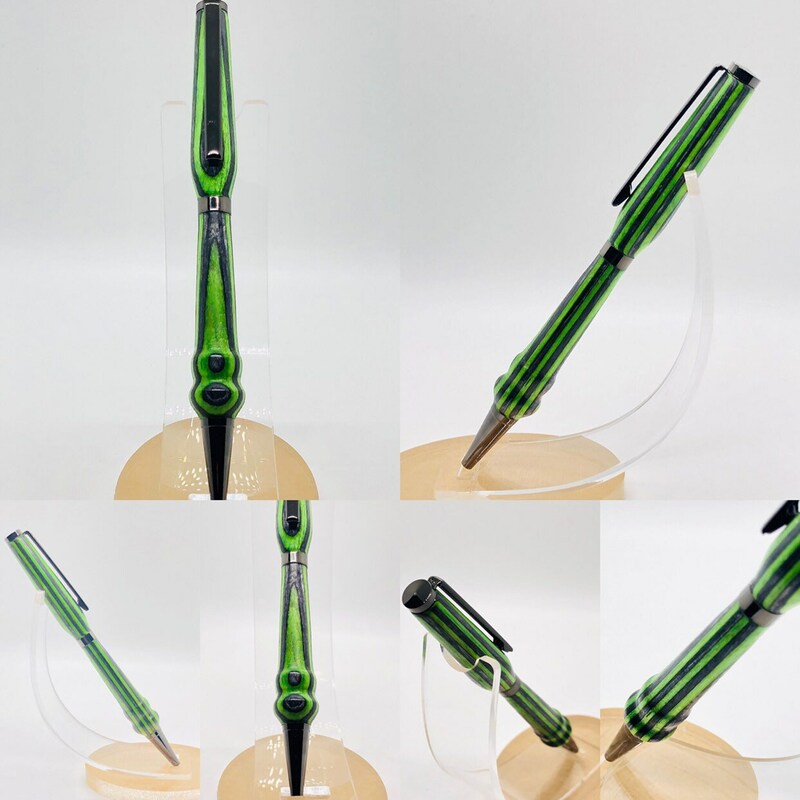 Slim style light weight pen. 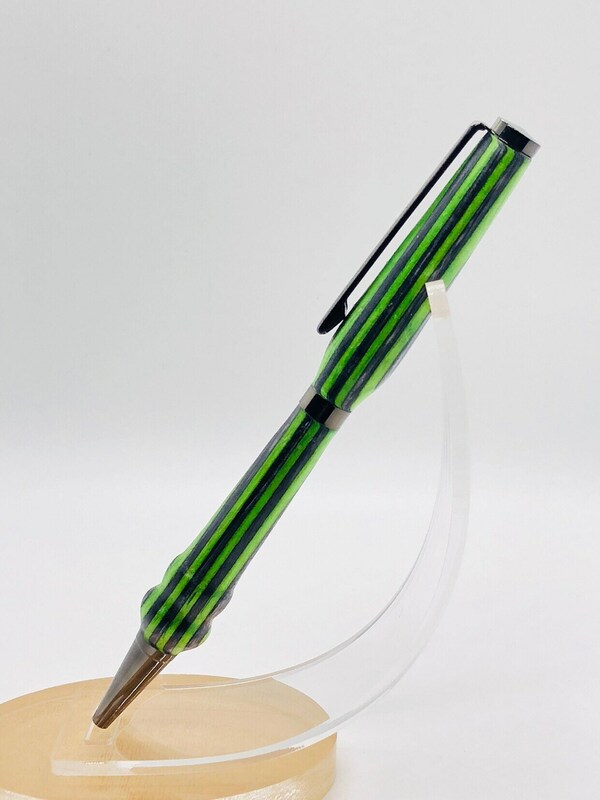 Perfect for school colors or a favorite football team fan. 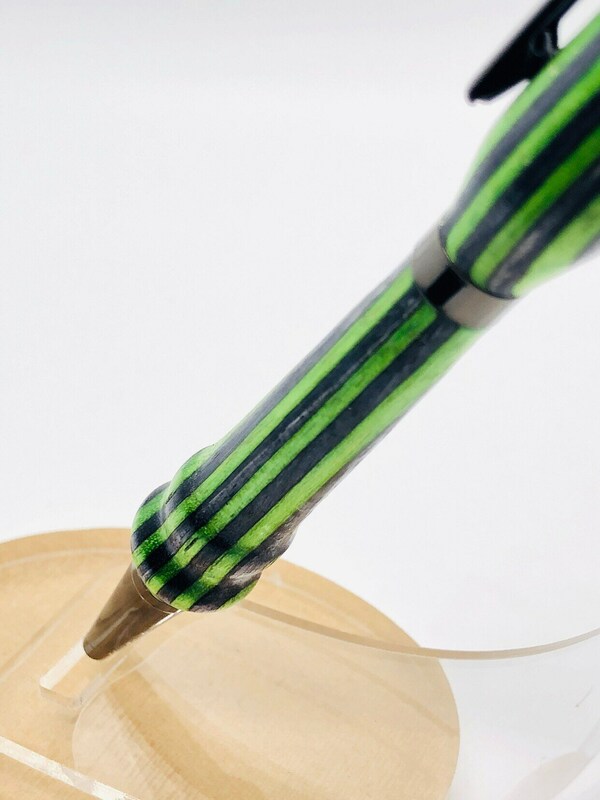 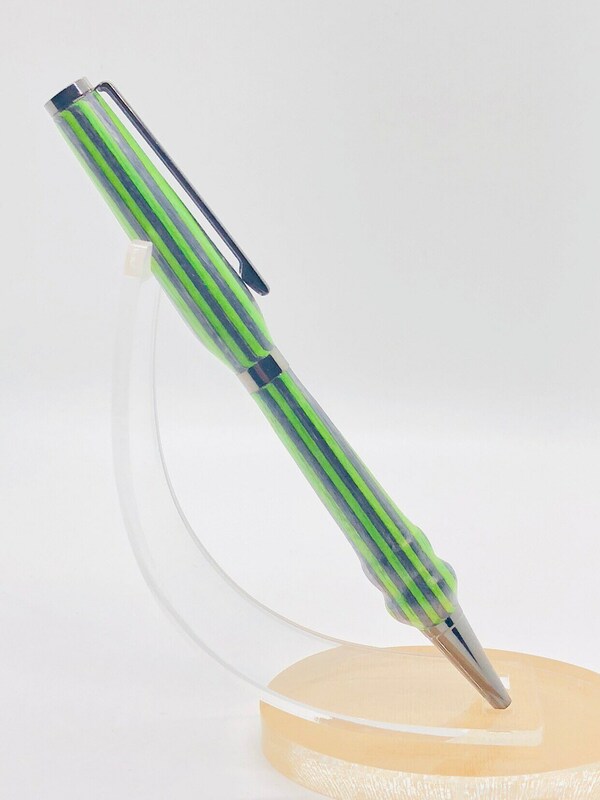 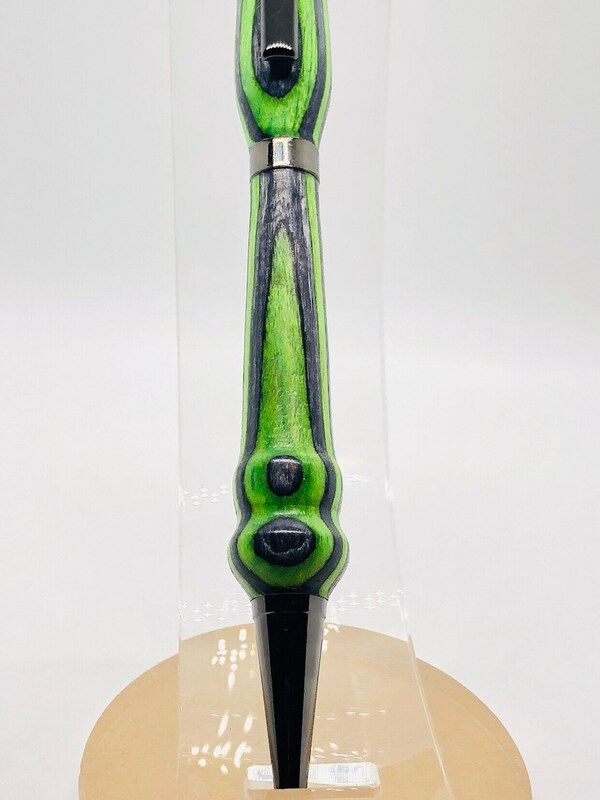 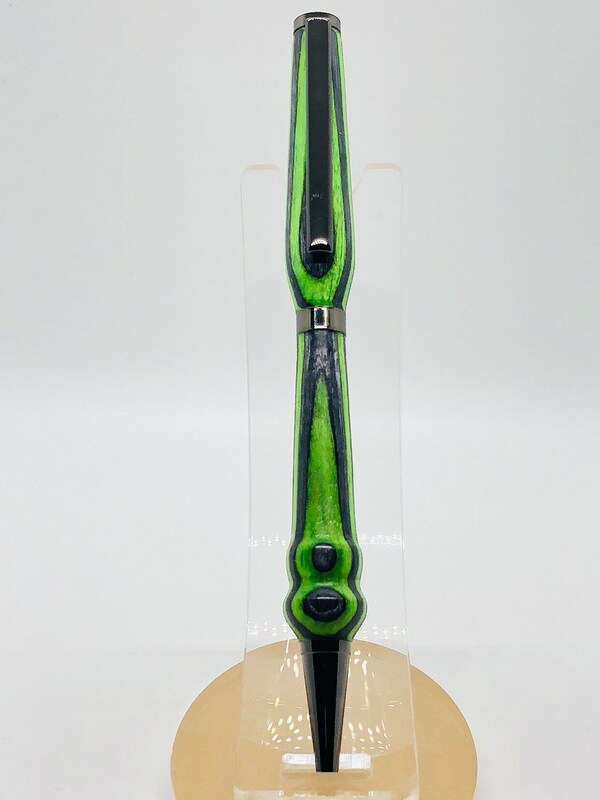 Green and blue stand out sharply against each other and show of the fun curves of this pen. 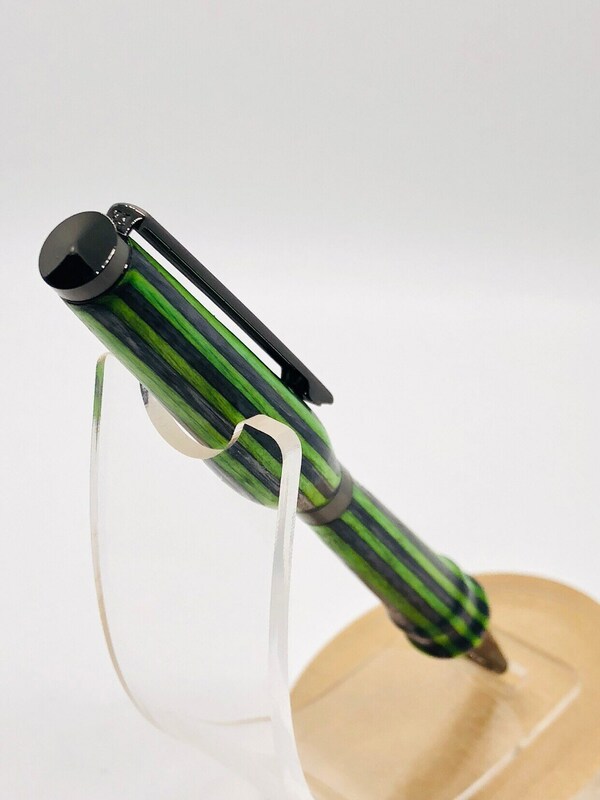 For the 12 in your family or office pick this one of a kind up.